If you are looking for somewhere remote and secluded with some of the most picturesque scenery in Thailand, and one of the best places to see how the hill tribes live - you should pay a visit to the charming little town of Sangkhlaburi. 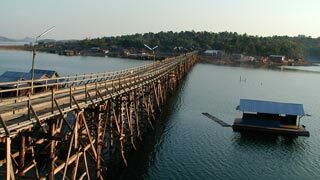 The town gain fame for having the longest handmade bamboo bridge in the world, which joined Sangkhlaburi with Wangka across the river Songaria, but unfortunately a large section collapsed in 2013. 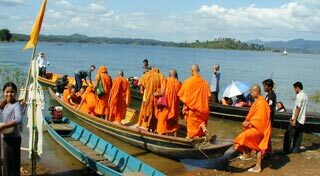 It has since been temporarily replaced by a handmade bamboo floating bridge, which is also an incredible sight. This is a very rural area for those that want to soak up some non-touristic culture. 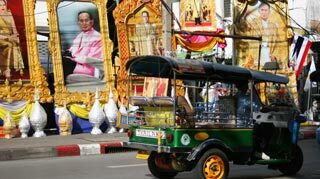 Sangkhlaburi is only connected to Kanchanaburi, so unless you are going there it’s a bit out of the way. 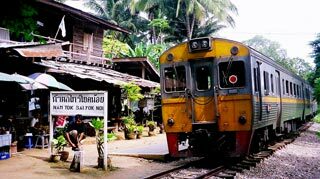 As close as it is to Myanmar, only Thai’s can cross the border here, meaning you have to go back the way you came. Apart from visiting Mon village and the nearby Wat Wang Wiwekaram, it is a great setting off point to see the surrounding countryside, with its Mon and Karen villages, waterfalls, caves, wildlife reserve and Khao Laem National Park. A boat trip on the lake is highly recommended, which is best around sunrise or sunset. 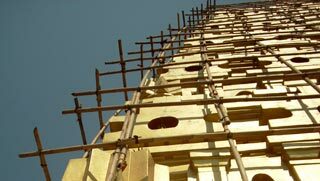 Three Pagodas pass at the border, is famous amongst the locals but isn’t really worth the trip unless you’re really into its historical significance as a border post. You need a full day to do a boat trip on the lake and to cross the bridge, both of which are essential if you are coming here. Away from the main tourist routes, this lovely town of two parts is located in the far north-west corner of Kanchanaburi Province, only 24km from the Burmese border. Known by Thais who come here for lazy weekends or to party on floating houses. This fascinating town nestles alongside Vajiralongkorn Lake, a large reservoir which was created when a dam was built in 1982, flooding much of the original village. Across the lake is the village of Wangka (also known as Monside), which was founded in 1949 when 60 Mon families fled across the border from Burma. The area contains an ethnic mix of Burmese, Mon, Karen and Thais who live in peace with each other in hillside dwellings, bamboo houses on stilts and in floating houses. Not far from the village is a huge refugee camp but tourists are barred from going there.